New reproduction rallye dash gauge bezel for 1968 Dodge Charger and Coronet vehicles. 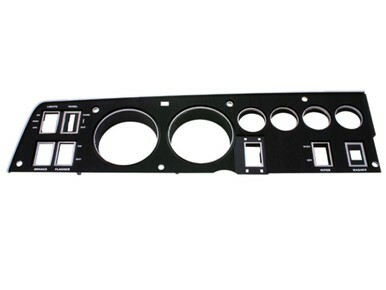 Replacing old dash bezels can be a difficult and expensive task. Our reproduction bezels are made using original factory-style reproduction; by using injection mould tooling, made by plastic and chrome, our bezels are made to look just like original with all correct grain and chrome accents.